Coming off a major victory by avoiding indictments from the Special Counsel’s report in March, President Trump was hoping to once again rally the GOP to take another crack at repealing and replacing the Affordable Care Act with a Republican option. As of the week this article is published, the President is backing down on his plans, however. Congressional Republicans were not biting at the impossible task set before them, and they should not bite. The GOP jeopardizes their chances in the next election if they go down this path. Unless Congressional Republicans can come up with a viable alternative to the existing healthcare law, the party should stick to reforming the law to allow more competition and working with the Democrats to reduce the price of prescriptions, particularly life-saving medication. Any effort to repealing the law is doomed to fail without support from the other side which is unlikely to come anytime soon. As a type one diabetic myself, I know this issue all too well and I dread the day I am off my parents’ insurance because the cost of my medical supplies is not a trivial number. A 90-day supply of insulin can cost between $1,300-2,500 if you do not have insurance. Altogether, a 90-day supply of all of my prescriptions could cost between $5,000-$8,000, plus whatever the cost of an appointment with my endocrinologist (diabetes specialist, among other things), along with the tri-monthly blood work that has to be done. Hospital visits alone can have astronomical costs. For my diagnosis over ten years ago, if it was not for my insurance, it would have cost $22,000 just for the lab work and an additional $11,000 for the Flight for Life transport between hospitals, which was needed since I was on the brink of death. I cannot imagine how my parents would have been able to pay. The cost of medical care is simply unsustainable and endangers millions of Americans who have chronic, life-threatening illnesses like diabetes. So what should the GOP’s position be? To begin, they should continue with their bipartisan efforts to lower drug prices. Among the many reasons why pricing is such an issue is because there are very few generics or alternatives to the two or three options. Currently, there are three companies that have a tight grip over the insulin market, Eli Lilly (Humalog) Novo Nordisk (Tresiba and Novolog), and Sanofi (Apidra and Lantus). From personal experience, most insurance companies only really cover Humalog (quick acting insulin designed for meal times) from Eli Lilly. I was originally on Novolog for the first five years until I was forced to switch to Humalog for insurance reasons. Now Eli Lilly has announced that they are releasing a new generic brand of their quick acting insulin at a reduced cost, but the market still needs more competition. Then there is the question of what type of healthcare system the United States should have. 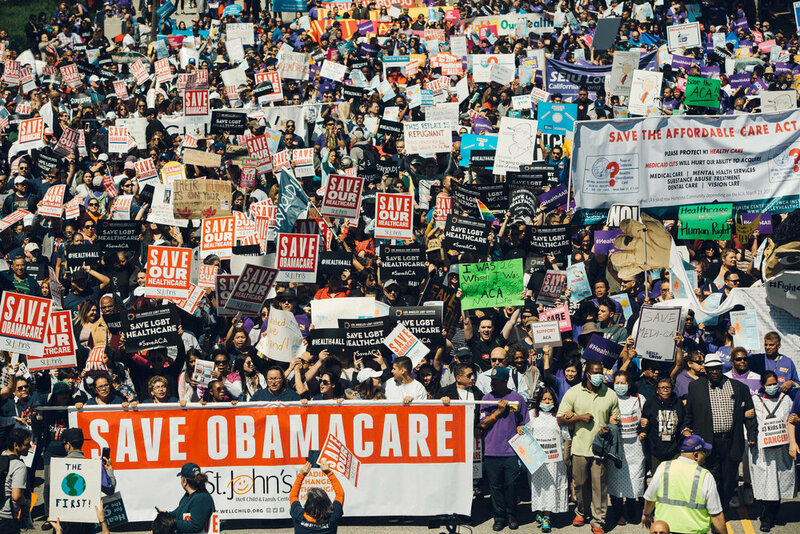 As Democrats are marching leftward, there are calls to ditch the private marketplace in favor of a “Medicare 4 All (M4A)” approach that would essentially nationalize the health insurance system. Grandiose M4A plans, like Bernie Sanders’, are not cheap, estimated to cost $32.6 trillion over 10 years. Such a plan would require tax hikes across the board and reductions in other programs. Indeed, polls have shown that Americans have mixed feelings about such a policy. While people like the idea of a Medicare-for-all system -- nearly 56 percent of Americans’ initial reactions are positive -- this number dips when asked if they would still accept it with the possibility of having to pay taxes and endure longer wait times for treatment. As somewhat of a fiscal hawk, this bill is a bit alarming and that we should look to other options that would not put additional taxes on Americans -- even though I did argue for a carbon tax that would eventually go back to taxpayers as a dividend. My idea for a revamp to the health insurance system in the United States comes from Germany which operates under a “multi-payer” system which is a mesh between the public and private sectors. Insurance companies still exist and they collect mandatory premiums “paid by workers and employers”, but they avoid much of the stigma that Americans have towards programs in Canada or Scandinavian countries. Furthermore, the amount you pay to your insurance company is reflected by your income (the lower your income, the lower your premium) which is already around the amount Americans pay for their insurance. In return, Germans get to enjoy no upfront costs on prescriptions, doctor’s appointments, and medical procedures. This program is not mandatory for everyone. People who make a certain level of income (>$72,000 in Germany) can opt out and go with a private insurance program. Such a program may be more practical for the United States to pursue as it would not have to completely tear down the existing insurance infrastructure and avoids large-scale tax hikes. Ultimately, the healthcare system in America is in desperate need of renovations as costs for medicine and hospital visits continue to increase. Despite Trump’s eagerness to topple ObamaCare, such action will leave Republicans in dire straits in 2020, as they already lost the House after their first failed attempt. In the meantime, the GOP and Democrats must work together to bring down the cost of prescriptions so that families do not have to worry about whether or not they can afford life-saving medication. However, if the GOP wants to be serious about becoming the party of healthcare, they should take a serious look at implementing a program similar to Germany’s multi-payer system.